Related Links & Videos - Checkered Flag Auto Supply, Inc.
Are you always wondering when you're supposed to change your air filter or your antifreeze? 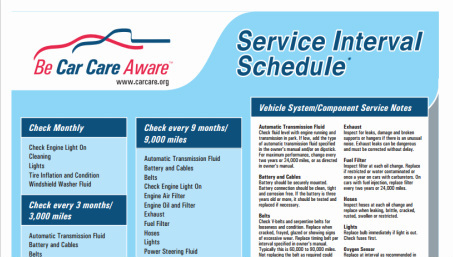 Check out this link from Be Car Care Aware for recommended intervals. You can even print it out and keep it in your glove box. For a black and white version, click here. 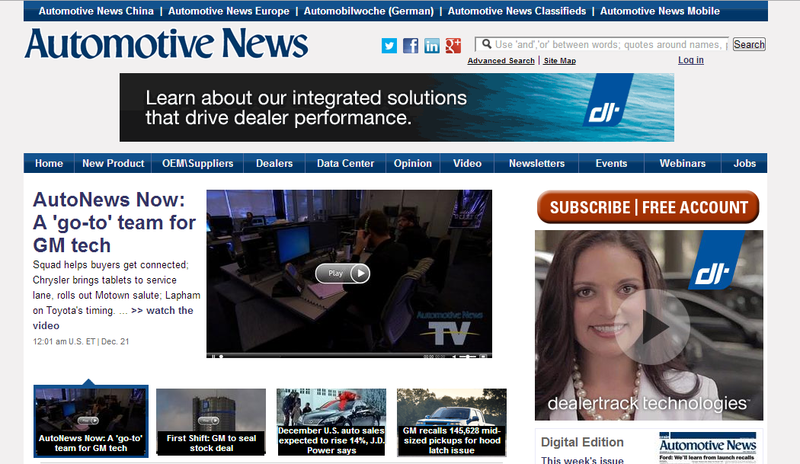 Check out Autonews.com for all of your automotive industry news. From new products to opinion articles. Keep up to date with Autonews. Check out the video below for a demo of the new SMP website. The website is a great place to learn about the SMP line of products, look up engine products for your car, and access technical resources. Check out this video below to learn how to install Autolite spark plugs. Autolite offers a number of videos to help you in determining the ignition needs for your vehicle! Is your check engine light on? Do you want to know what that pesky code means, so that you can finally get your car running properly? OBD-Codes provides an extensive database of engine codes to help you troubleshoot. Autoweek, launched in 1958, based in Detroit, Mich., and published by Crain Communications Inc., is a fortnightly magazine of consumer car news, information and insight. Check out their online site here.